https://matcha-jp.com/en/233 Take A Stroll Around Osaka's Stylish Horie District! Take A Stroll Around Osaka's Stylish Horie District! Near Shinsaibashi Station in Minami, Horie’s peaceful stillness offers a peek into a somewhat different part of Osaka. Take a stroll and explore it with us. Most people picture Americamura or Namba when they think about Osaka’s Minami region. Densely packed with shops and humming with crowd noise, these stimulating spots are a must-visit for any first-time visitor to Osaka. 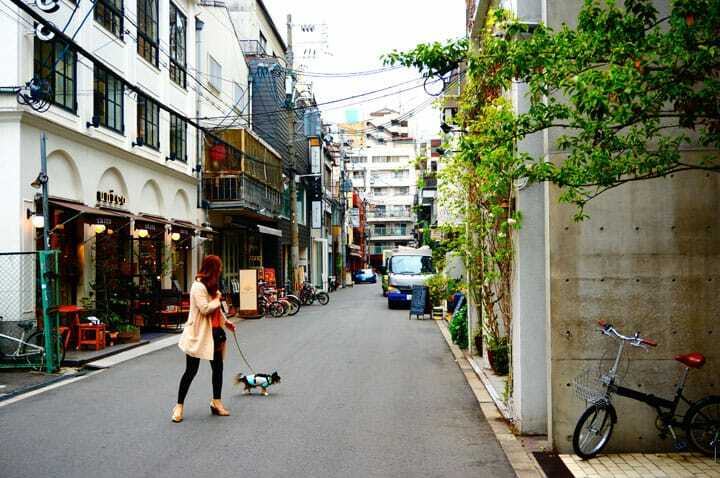 However, what if you’re in the mood to stroll through some peaceful streets, discover some new favorite shops, relax on a park bench, and spend some “slow” time in Minami? We’d like to introduce the Horie area, located on the west side of Shinsaibashi. Surrounded by rivers on all four sides - Nishi-Yokobori to the east, Kizu to the west, Dotonbori to the south and Nagahori to the north - Horie’s peaceful stillness makes it hard to believe that you’re in Minami, and offers a peek into a somewhat different part of Osaka. Let’s enjoy a stroll through Horie and forget the clamor of the rest of Minami. Tachibana-dori, fondly known as Orange Street, should definitely be called the face of Horie. There is a large shopping arcade that extends out from the Orange Street entrance, lined with various cool stores. Orange Street has a mix of new flat design structures and buildings which retain their postwar appearances. Here on Orange Street, a new culture is being born and raised. Horie’s charm isn’t limited to Orange Street. As we noted before, Horie was once in decline before experiencing an area renaissance. Perhaps for that reason, many shops operate out of renovated multi-tenant buildings and apartment complexes. Past and future, decay and rebirth; these form the somewhat unique scenic contrasts in this quarter. Many buildings have a shop on the first floor and an office on the second floor. Rather than creating something from scratch, Horie residents take something that exists and refashion it into something new. Could this technique be an example of the Osaka mercantile spirit? The roof eaves of Horie’s stylish shops are linked together, bringing a European townscape to mind. It would not be a stretch to say that the abundance of cool shopping spots in Horie is its biggest selling point. With entrances that are right up against the road, it’s easy to be sucked in by a display and casually wander into any store. Outside, this postcard-worthy shot of two chairs lined up on the street is only possible because of the Horie area’s ambiance. Where should I go for lunch? What store should I visit next? If you need to make a decision, take a break in Horie Park and plot out your next course of action. Located in central Horie, the park’s lush green environment is perfect for a break. There are also many people walking their dogs, and the park is a place for visitors to take a breather and relax. As we glanced casually at the street outside the park, we saw this car with its somewhat melancholy aura. The style and sensibility of the people who gather in Horie shone out from this nonchalant moment in time. There is also a temple in front of the park, which has blended into the fabric of the town so well that it would never even cross your mind that it was a temple if you just glanced at it. Here in Horie, there are no official brand-name stores from overseas or franchise cafes. For that reason, it’s fun to picture your stroll as a treasure hunt for something new. By all means, follow your intuition, and you’ll have the best time possible in Horie. Great Amerikamura Experience with Takoyaki and Beer in Sankaku Koen! We don't sell bestsellers! Fusion of Art&Culture "STANDARD BOOKSTORE"